Described in detail in Dr. Natasha Campbell-McBride’s book Gut and Psychology Syndrome, the GAPS dietis most commonly used in the treatment of inflammatory bowel disease, leaky gut syndrome, autism, ADHD, depression, anxiety and autoimmune disease. In addition, research has linked eating fermented foods, as the GAPS Diet recommends, to killing several different types of cancerous tumors in animal studies. The Journal of Dairy Science, for example, published a study that evaluated the immune cells in mice and discovered that regular kefir consumption helped stop breast cancer growth. If we scientifically evaluate how each individual component of the GAPS Diet cures disease like this, we not only see the wide array of diseases it can reverse, the synergistic effects of all of these components coming together seem limitless! Be sure to include 1 tbsp raw fermented vegetable juice (like sauerkraut juice) with meals, as they contain vital enzymes to assist digestion of the meats. Fruit should be eaten on their own, not with meals, as they have a very different digestion pattern and can make the work harder for the stomach. Ghee and Coconut oil are the best oils for cooking. Slowly add in probiotic rich foods including: sauerkraut, yogurt, and kefir. It’s important to note, you should NOT consume store bought yogurt, only raw dairy fermented 24 hours or more. It is recommended to take a cup of warm meat or fish stock with every meal as a drink as well as soups and stews made with the meat or fish stock. You can find some GAPS diet recipes here. You can also checkout the full GAPS diet food list and introduction stage by printing outthis GAPS diet shopping list. But just because there isn’t a double-blind study backed by a pharmaceutical company, doesn’t mean this diet isn’t “scientific” and effective. As I’ve shared before, science has shown that 80% of the human immune system is housed in the gut and an imbalance of healthy probiotics and harmful pathogenic bacteria is linked to most chronic diseases today. 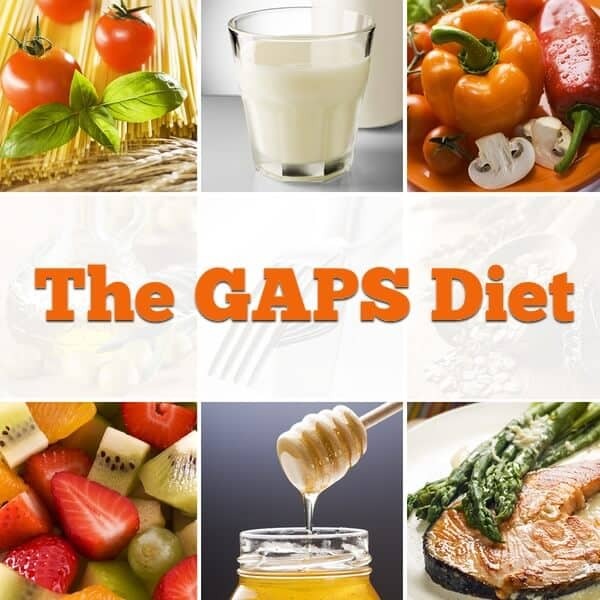 Although the GAPS Diet hasn’t been thoroughly studied directly, countless research studies have substantiated the underlying premises indirectly. Essentially, it has been proven because it’s a theory based on solid research and countless personally testimonies. Secondly, Austin M. Mulloy, PhD (Assistant Professor of Special Education and Disability Policy at Virginia Commonwealth University) is currently conducting a study that is evaluating how GAPS performs in a clinical setting. Granted, it’s only one study, but in the future you will see more and more studies coming out on how following a diet similar to GAPS can greatly improve someone’s overall health.